Are you a Referral Agency? Dr. Eleanor Walsh, Assistant Manager & Time to Count, Programme Coordinator, BITCI gives an important update on our Time to Count roll out. Were you interested in numbers and maths when you were a child? Would you enjoy sharing this love of maths? We need YOUR company to provide volunteers with a love for numbers to help local primary school children nationwide explore and develop a love of maths for themselves. 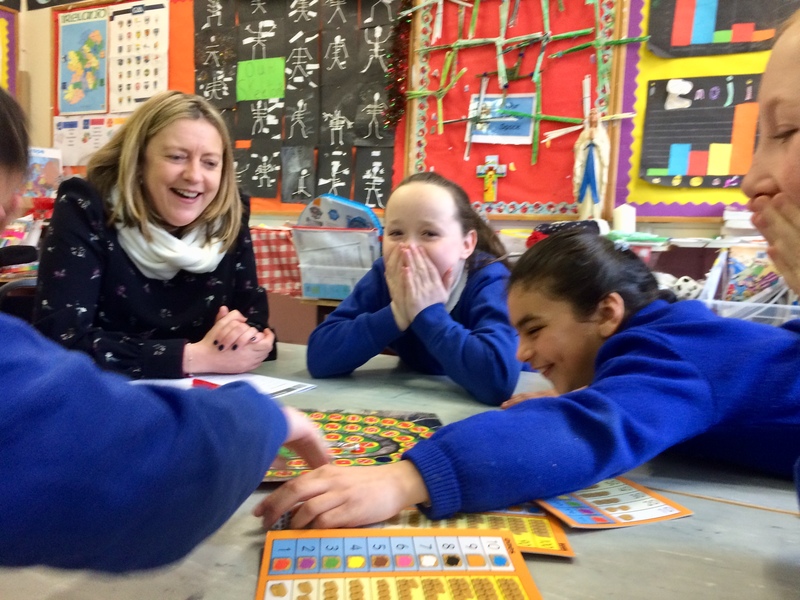 We are also delighted to announce that we have provisionally approved a grant from Department of Rural and Community Development, Dormant Account Action Plan, to fund the national rollout of the Time to Count programme. The amount allocated to the project under the 2018 Action Plan has been set at a maximum of €50,000 (€25,000 in 2018 and €25,000 in 2019). Here’s a brief history of the programme. In 2016, BITCI decided to pilot a programme supporting numeracy called Time to Count. It was a structured opportunity for business volunteers to provide support on numeracy skills to primary school children. It aimed to help children develop a confidence with numbers, to enjoy playing games and doing activities which improved their numeracy skills. While the feedback from all the participants had positives, it also highlighted some short comings with the model – working with 2nd class children, working in pairs and not working with all the class, amongst other issues. We consulted with our partners in the DCU Institute of Education, namely Dr. Thérèse Dooley and Dr. Maurice O’Reilly, and did an extensive and lengthy review of the recommendations and we decided to change the model and encompass the relevant adjustments. It was decided to do an extended pilot to assess the impacts in the spring of 2018. The participants were: ESB & St. Kevin’s BNS, Finglas, Dublin 11; Analog Devices & Our Lady Queen of Peace, Limerick; IBM & Ladyswell NS; Mulhuddart, Dublin 15; KPMG & St. Vincent’s GNS; North William Street, Dublin 1 and Ulster Bank & St. Mary’s NS, Fairview, Dublin 3. The extended pilot evaluation endorsed the changes to the original model and showed marked improvements in the children’s skills, observed by the principals, teachers & volunteers. 100% of teachers noticed improvements in children’s confidence & enjoyment of number; children’s conceptual understanding of number and the development of children’s flexibility and perseverance in mathematical problem solving. It would appear from the programme evaluation that schools saw the programme as a meaningful addition to their education offering with improvements in numeracy being observed. The companies saw it as a really effective employee volunteering programme. Volunteers felt they had imparted some level of mathematics knowledge and love, developed their own skills of thinking in simple terms and explaining things clearly, while feeling rewarded and satisfied that they made a difference in someone’s life. We are currently recruiting companies for the 2018/2019 school year. In 2018, 100% of Company Coordinators would recommend the Time to Count Programme to another company. Get in touch now. Phone our Programme Coordinator, Eleanor Walsh on 086 8200138 or at ewalsh@bitc.ie for more information. Stay up to date with the latest news in Corporate Social Responsibility with our monthly newsletter CSR News Ireland.